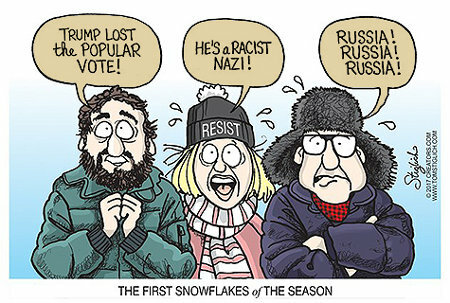 Yeah, you just know that numbers of deranged and still unmedicated Liberals and Progressives are ringing in the new year, not with joyous cries but with sobs and bitter mutterings. Happily, among and foremost of them will be Kathy Griffin since even CNN fired her from their New Year’s programming this year. This entry was posted on Monday, January 1st, 2018 at 12:01 am and is filed under Humor, Politics. You can leave a response, or trackback from your own site. I implore you to join my endless campaign to cease referring to leftists as “liberals” and “progressives” primarily because they are decidedly not. I agree! They are anything but liberal. Hard to describe them in one word, but if I wanted to be nice I might say misguided, delusional or seriously closed minded. Otherwise, I would just say evil.